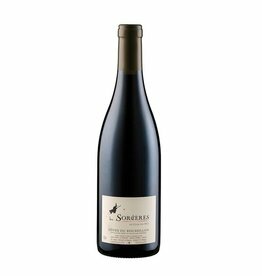 Hervé Bizeul is a cross-breeder in wine-growing, even though he, as a former sommelier in the French star gastronomy, at least knew how a top wine should taste. 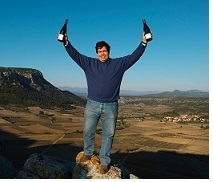 The desire to produce his own top wines was fulfilled in 1997 in the Roussillon, in the valley of the river Agly in Vingrau. Ancient vineyards create the potential for the wines of the Domaine du Clos des Fées, which has become one of the most iconic wineries in the South of France today. The dry stone walls of the vineyards have been restored in painstaking detail, so that today a carefully cultivated vineyard has been created, which in its entire splendor would be a first-class postcard picture. 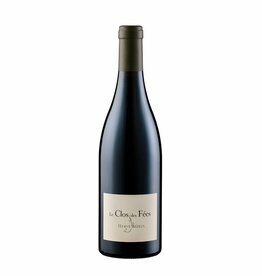 The geological diversity of the soils in the Clos des Fées parcels allows a variety of different wines produced from the red varieties Syrah, Grenache Noir, Carignan Mourvèdre, LLadoner Pelut, Cabernet Franc and Tempranillo. The Vieilles Vignes Blanc consists of Grenache blanc and some Grenache gris. The wines are all clear and precise , concentrated but not heavy. They belong to the very first league in the south of France.